Group of Companies «Terricom», who represents Italian Corporate Group«Antonio Merloni», presents itself as a group of experienced professionals in mounting and maintaining of systems which operate on liquefied petroleum gas. 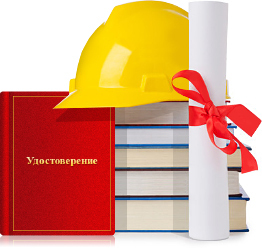 Professionals of our Company take trainings of «Security rules for objects with use of liquefied petroleum gases», which are settled by the directive of the Federal Mining and Industrial Supervision of Russia in fire security departments at Institutes. Formed group attends three days courses and then passes exams. 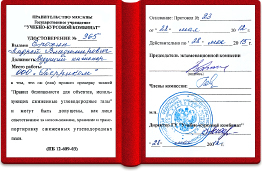 PB 12-609-03 certificate is issued only after the knowledge is proved. Retraining occurs every three years. Certified professionals who were attested and who have PB 12-609-03 certificate will need only 1 day (no more than 4 hours) for mounting of the independent gas supply system with one gas tank. In accordance with technical specification and according to PB 12-609-03 fire security standards conditions for gas pipeline laying and gas tanks mounting are chosen before the building of gasified object. An under-ground gas pipeline laying is realized in the projects. Burial of the under-ground gas pipelines from the cisterns with liquefied petroleum gas is provided on the level of no less than the soil freezing level. Requirements for the materials used to make tubes from the polyethylene correspond to the State Standard.